There are a lot of slices of toast, crumpets, waffles, bagels, pancakes and hot cross buns out there that need a little more excitement in their short lives! Breakfast was once a time where friends and family lingered and grazed and planned the day ahead. Unfortunately, today’s fast-lane living means breakfast is usually a grab-n-go affair with little time to chat let alone consider ingredients. That trip to New York left Farrah with the nagging belief that there had to be a simple solution. It was time to put the buzz back into breakfast and snacking and it could be wholesome and delicious … and fast! 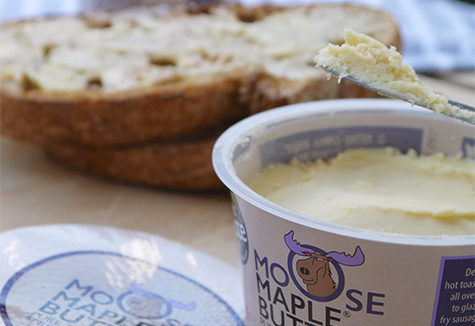 Even though Moose Maple Butter is only made from three natural ingredients, it took a fair while to ensure that the recipe was perfect. 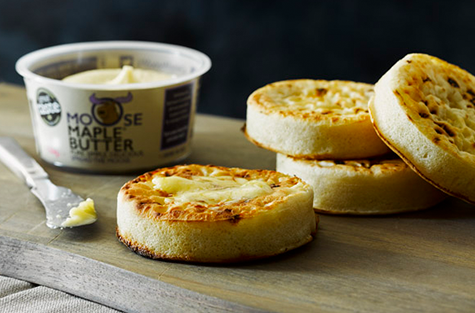 Thankfully, back in the UK, friends and family were just delighted to lend their taste buds – and after countless rounds of research, pondering, perfecting and testing, Moose Maple Butter was finally born.